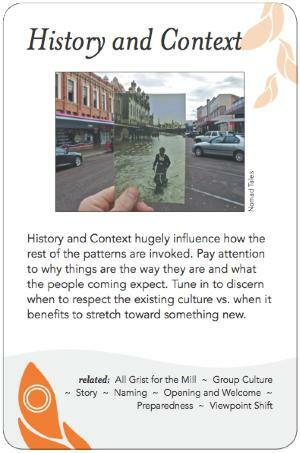 History and Context hugely influence how the rest of the patterns are invoked. Pay attention to why things are the way they are and what the people coming expect. Tune in to discern when to respect the existing culture vs. when it benefits to stretch toward something new.